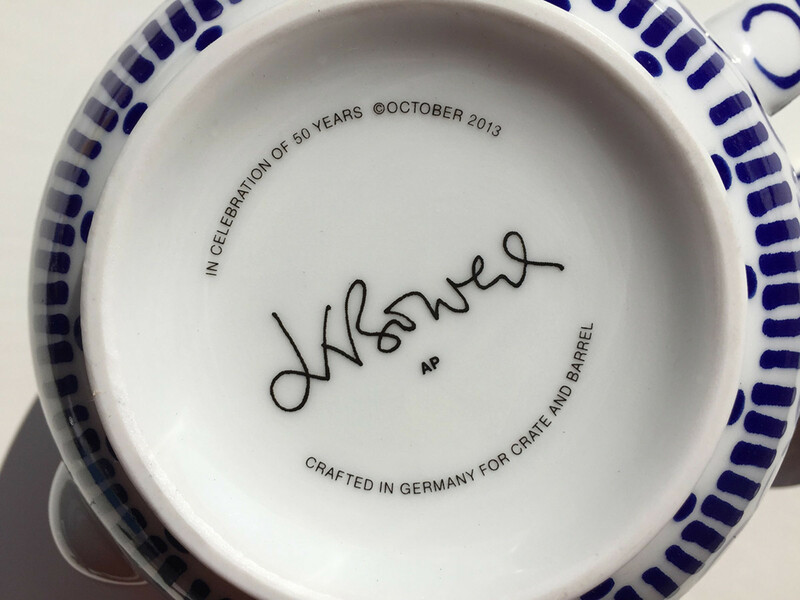 Crate and Barrel commissioned 12 international artists and illustrators for a 50th anniversary celebration of their iconic Arzberg teapot, a product which has been on sale in the store since it opened in 1962. 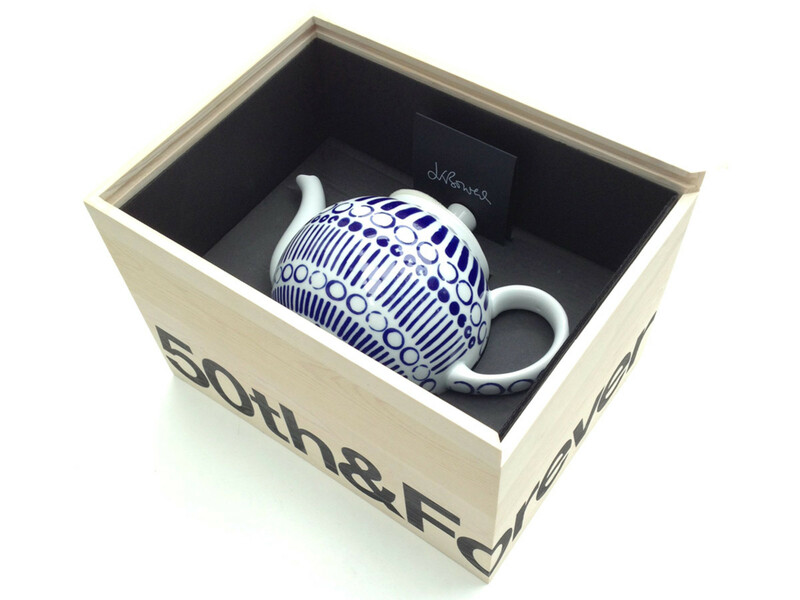 They wanted the teapot to be envisioned as a blank canvas, on which to create a limited edition design. One was released each month during 2013. 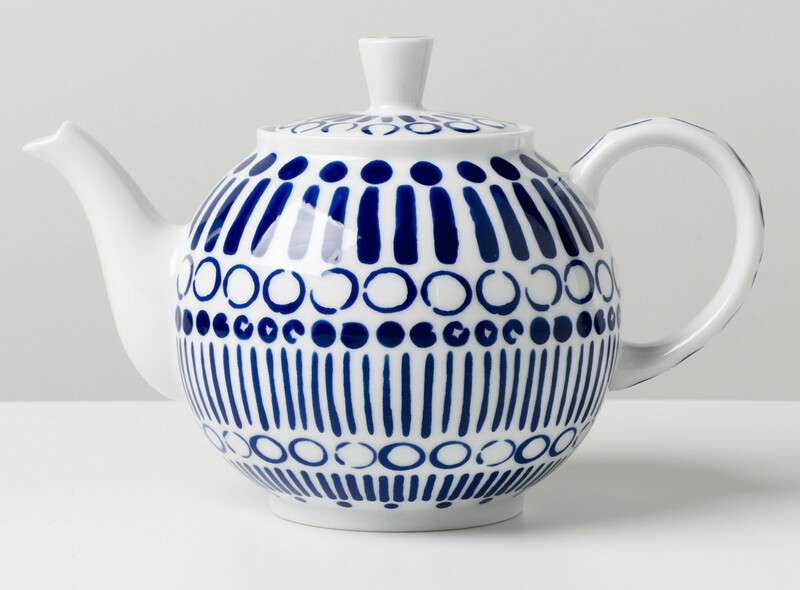 The teapot is a beautiful, simple, Bauhaus inspired shape. 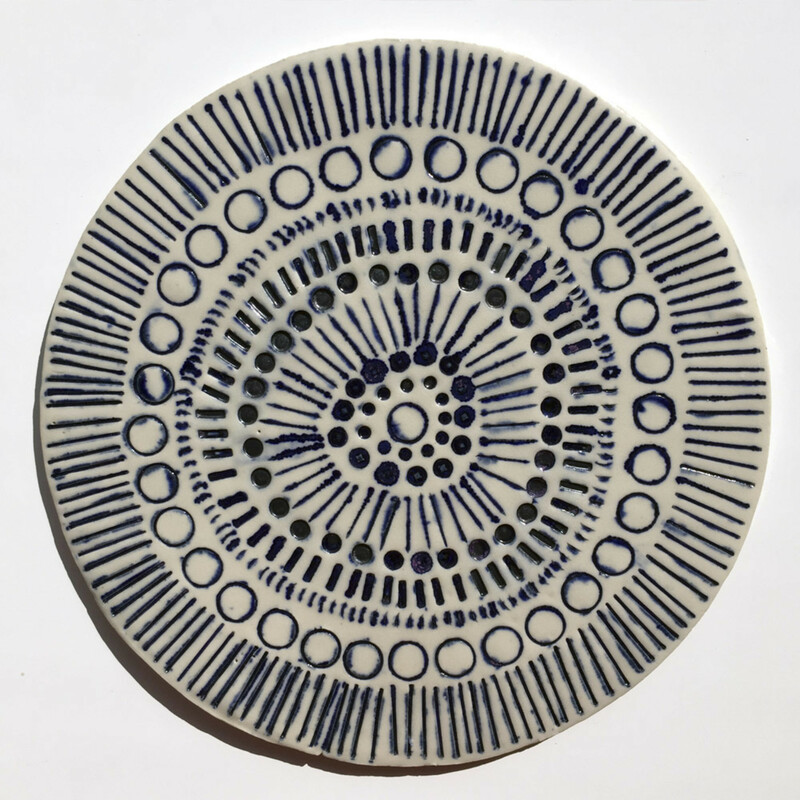 Marks were worked directly on to a sample of the pot with gouache paint. These were then reproduced in exacting detail on the finished product.